BrickCompare needed a logo. And since I do not have a single creative bone in my body, I decided to give Fiverr a shot. 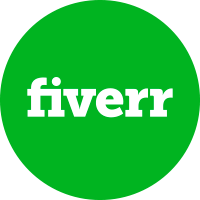 Fiverr is a website where you can outsource a job (called a Gig) starting from USD$5, hence the name. So I signed up and picked the highest rated and most popular seller for logo designs, a seller called bossdesigners. Although I was pretty sure there was a whole team behind it. The USD$5 plan was pretty limited (you will find this with most gigs) so I decided to splash out on the USD$35 (plus $1.75 processing fee) plan which will give me three design choices and a social media kit.